Rebuilding with Tears is a brand new 63 minute inspirational film of four mini-lectures from Ohr Somayach. It features the Rosh Hayeshiva Rabbi Nota Schiller, Rabbi Dr. Akiva Tatz, Rav Kehillat Ohr Somayach Rabbi Dr. Yitzchak Breitowitz and Rabbi Dr. Dovid Gottlieb. 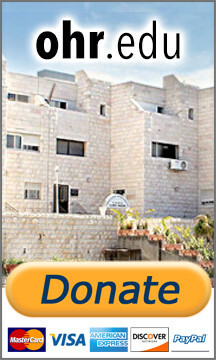 There is no charge for viewing our Tisha B'Av film - Rebuilding With Tears. If you would like to make a donation to Ohr Somayach your support would be greatly appreciated.